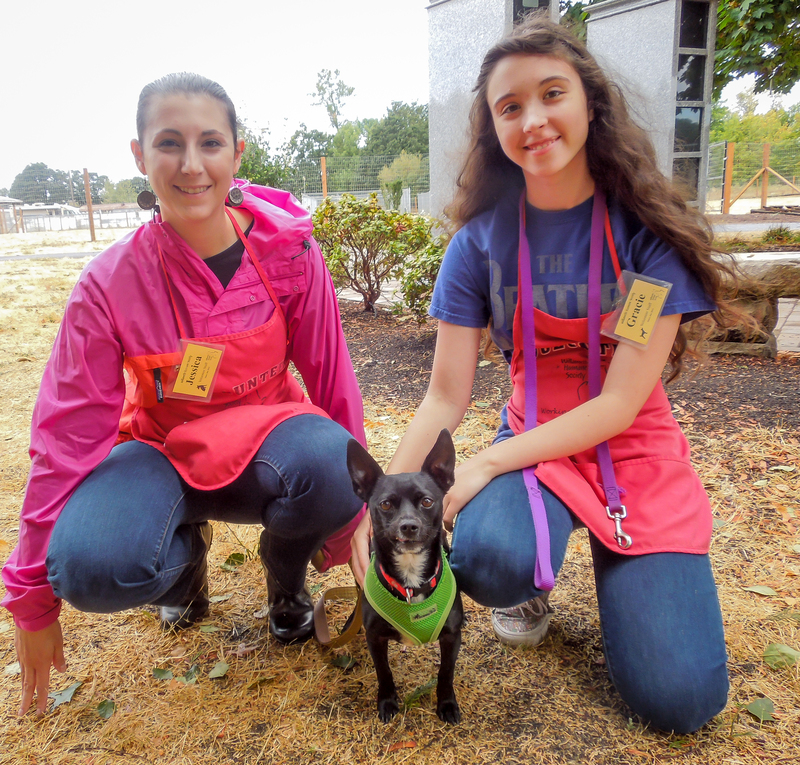 I have some terrific adoption news to report this week! 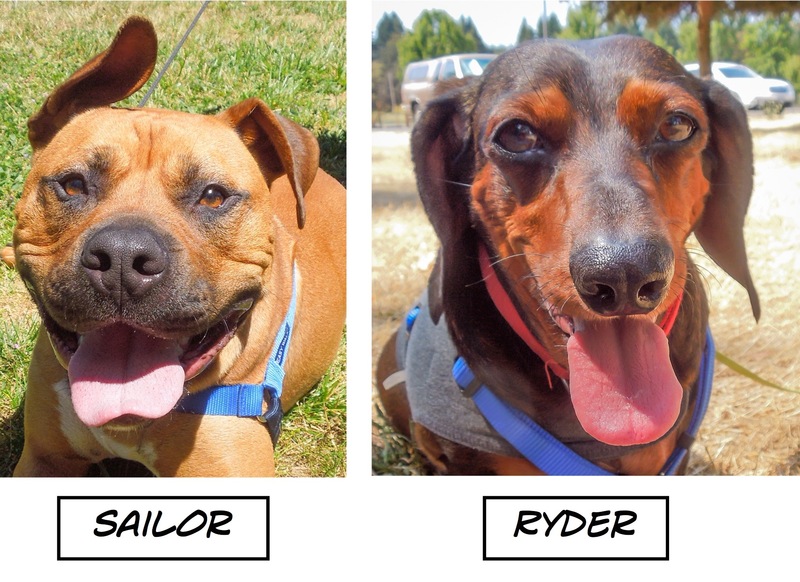 Several of our long-termers (Sailor, Wiley, Gordo, Odie, Nala) were found by their forever families and we couldn’t be happier for the dogs and their new peeps. 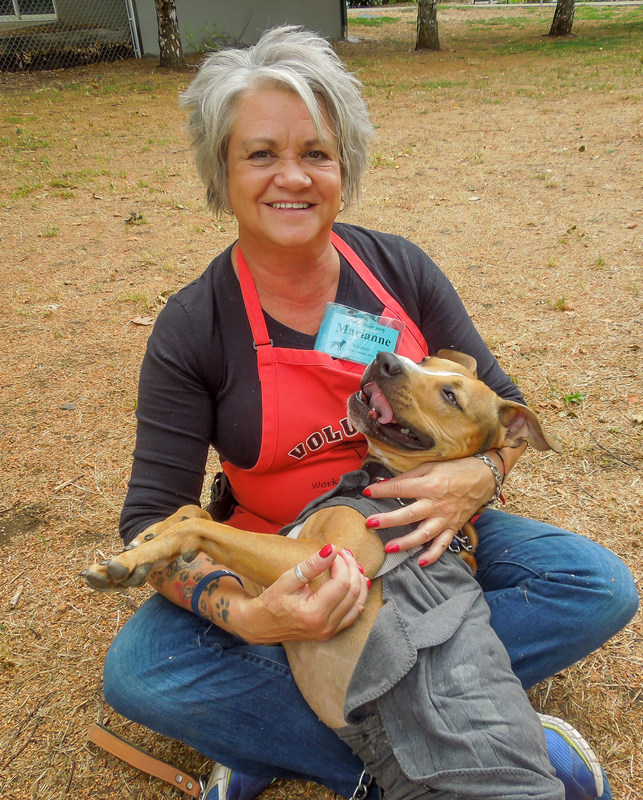 There were fifteen adoptions and here are the ones that were Blog Dogs. 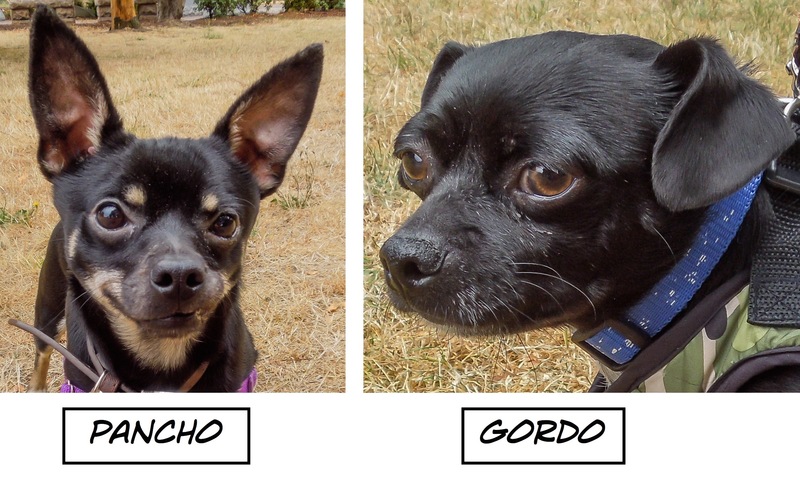 That’s Gordo‘s wonderful foster mom, Jolene, on the right. 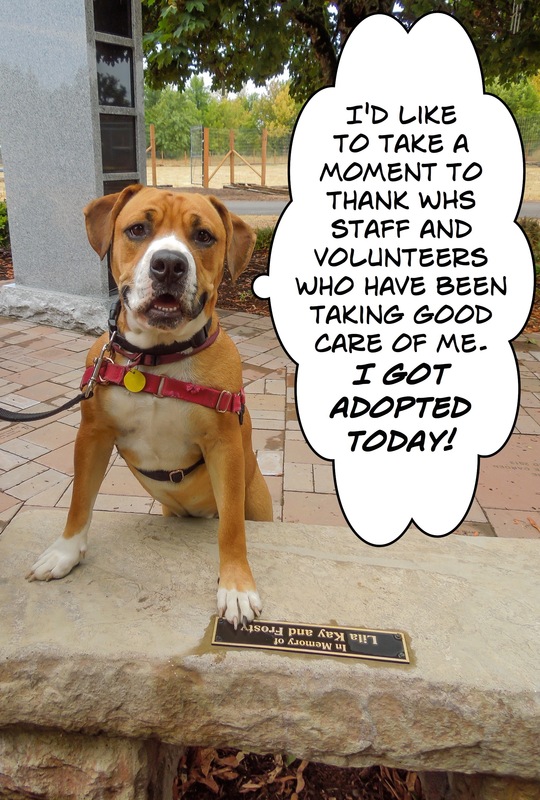 Gordo was her thirtieth WHS foster dog! 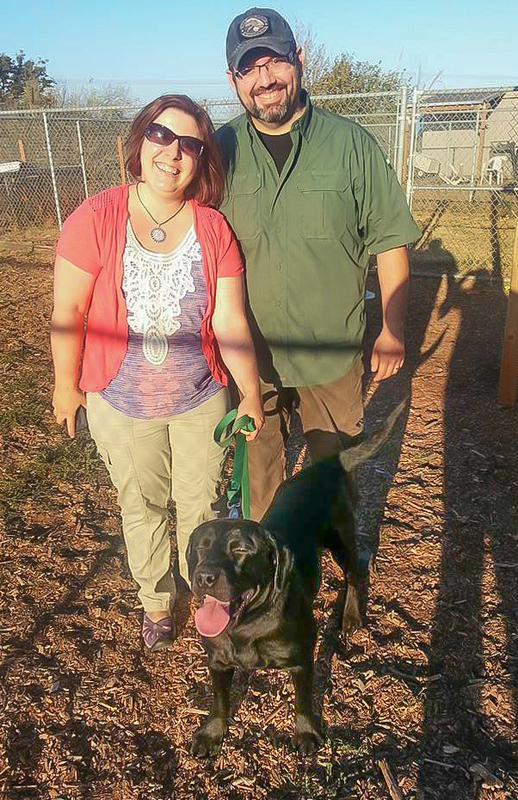 Our goofy Sailor and his new family. Nala about to head home. 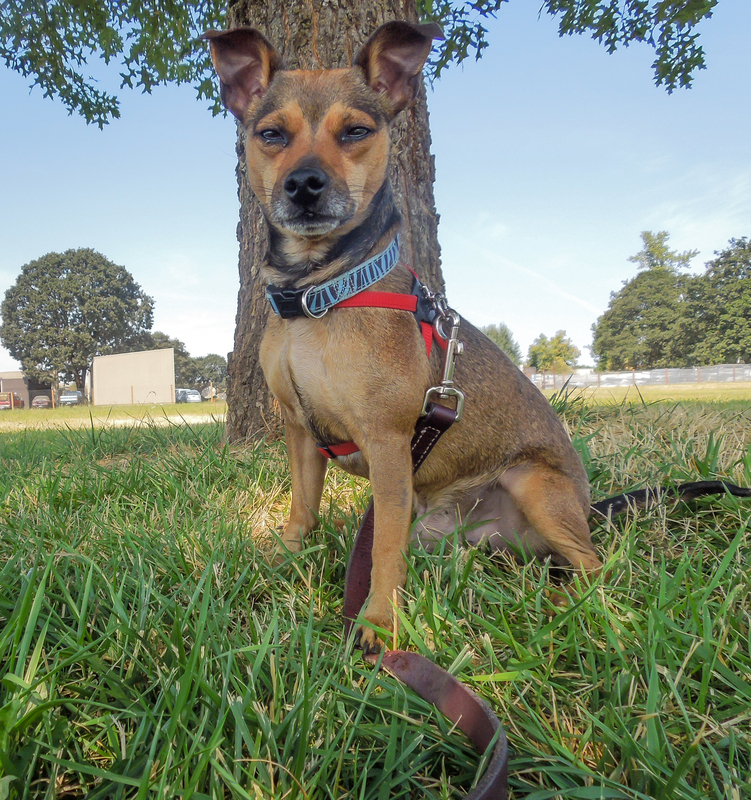 And if you know Odie at all from previous posts, you won’t be surprised that he wanted to make his adoption announcement himself. It takes a long time to get this sweet. 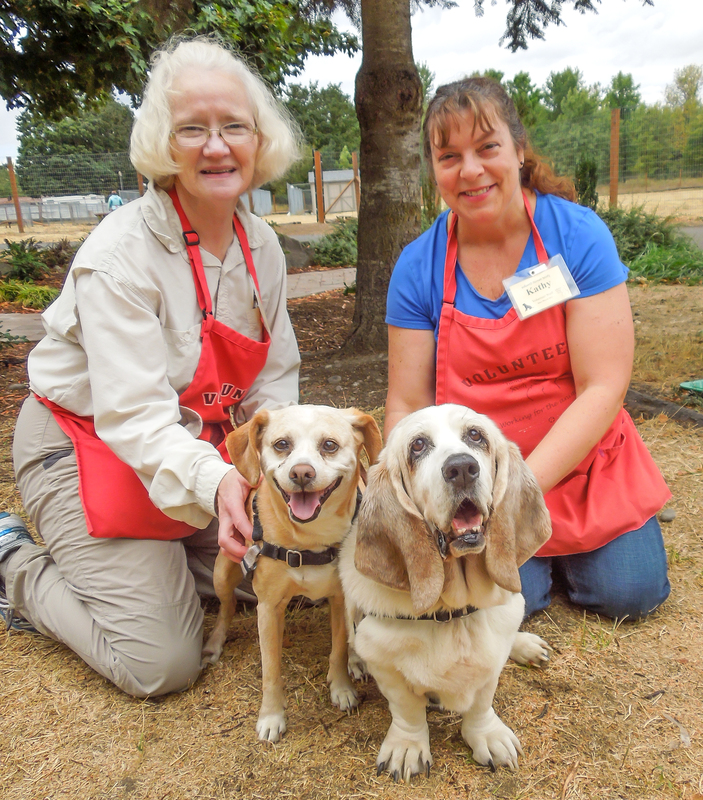 On Sunday afternoon when I arrived at WHS to start taking pictures of new arrivals, I found Marianne and Daniel sitting with this bonded pair of old ladies, Zoe and Sadie. I felt my heart melt once again since I’m a sucker for loving old dogs, especially bonded old dogs. 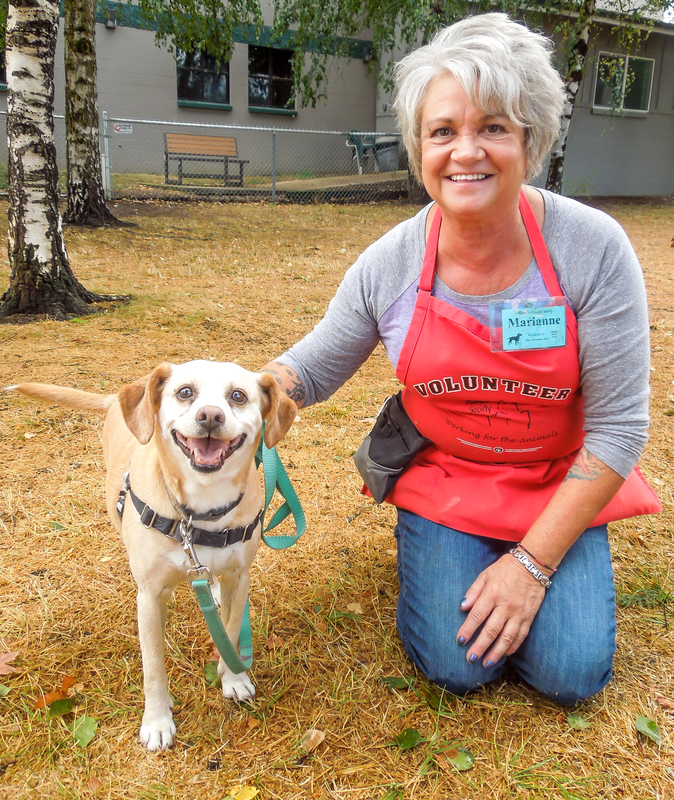 Zoe is a twelve-year-old Basset Hound mix. Here she was posing so nicely with Daniel. 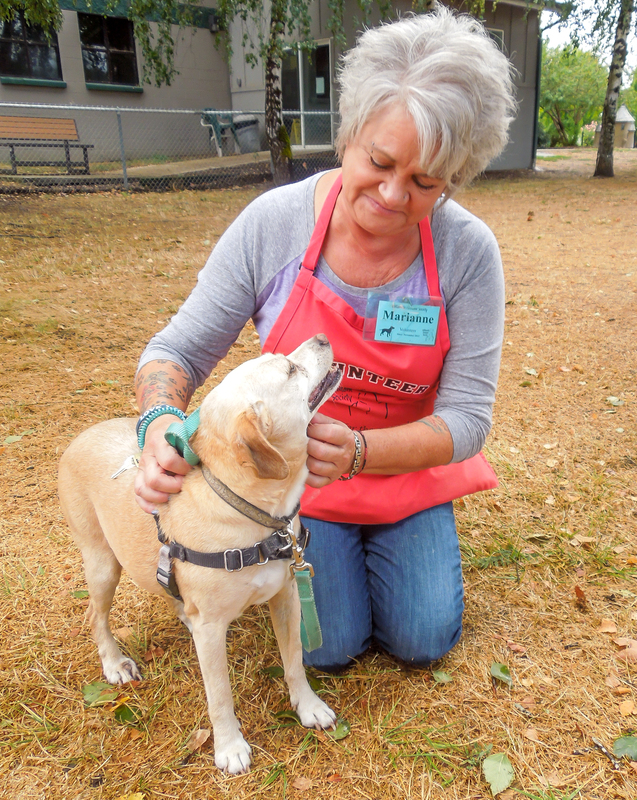 Sadie is a twelve-year-old Chihuahua/Beagle mix. She smiles all the time, here with Marianne. These girls have been together their whole lives. They are, of course, house-trained and well-mannered. They are happy and still have springs in their steps, although a short walk around the neighborhood is plenty of exercise for them. They love to be around people and to snuggle together. 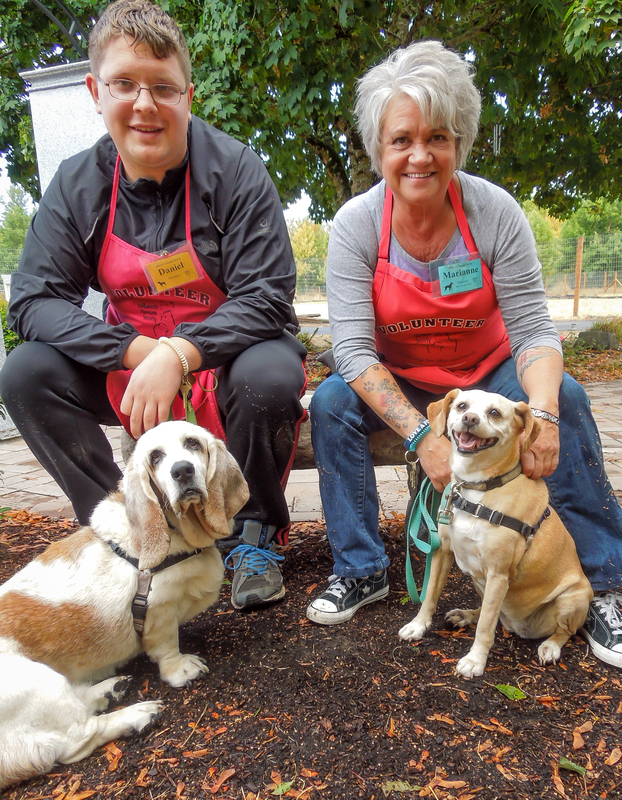 They have been around children and done fine, but now that they are seniors, they would like to be in a quiet home with older kids or just adults. And while they have lived with cats, they prefer not to anymore. 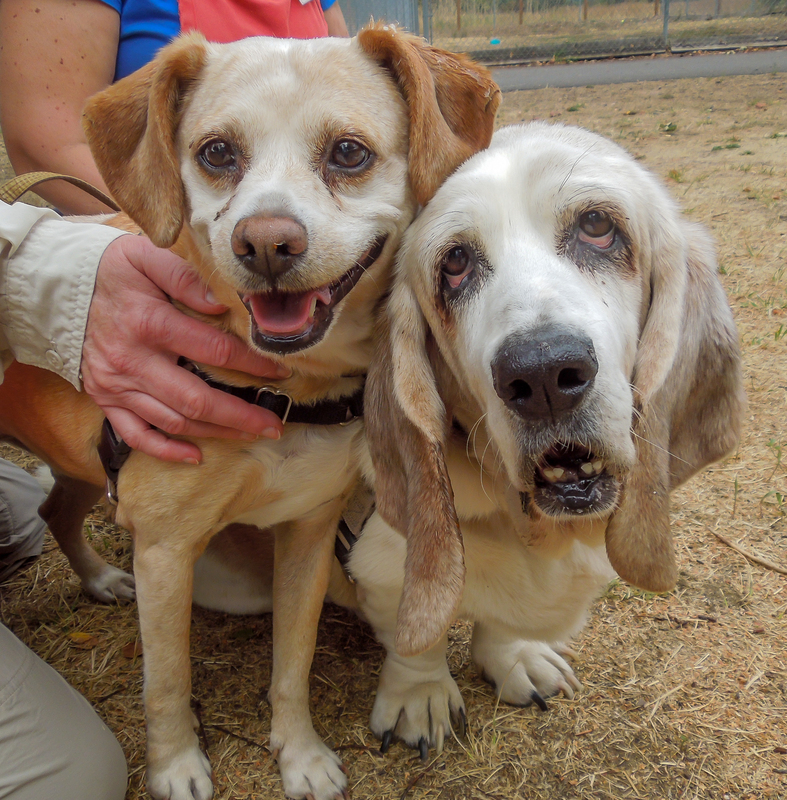 These two wonderful old ladies won’t be much trouble and they will bring so much love with them. 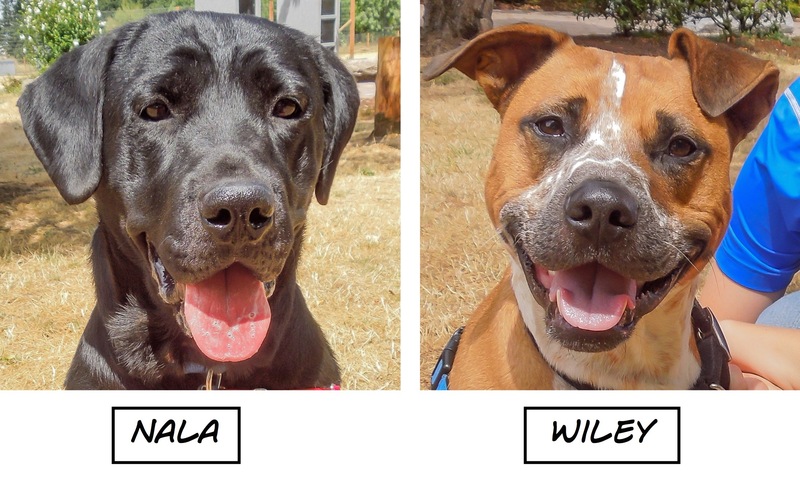 We’re hoping they are adopted very soon into their forever home. 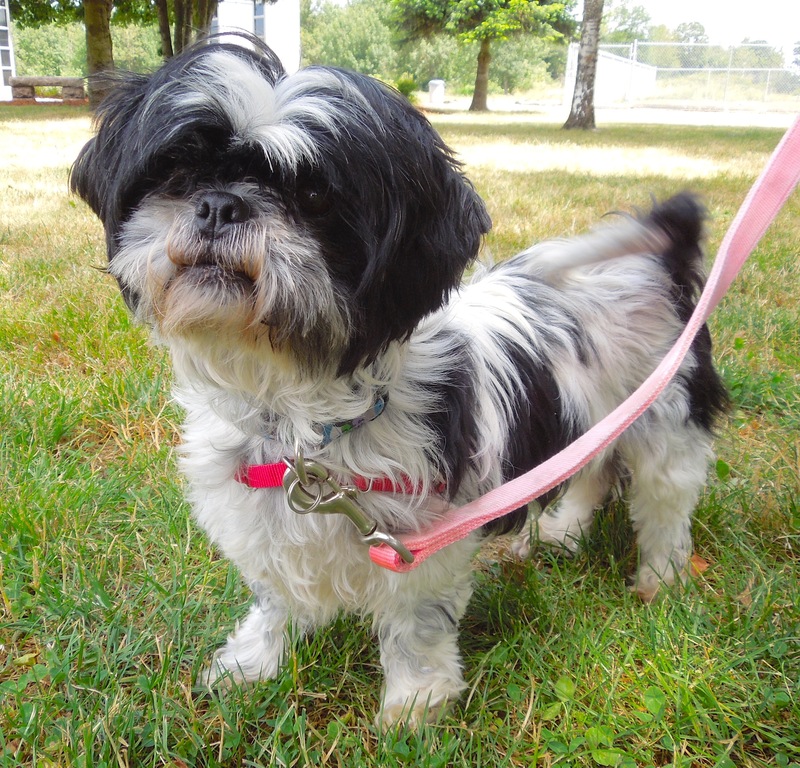 Oh, and one more thing from ASPCA: “At shelters, older dogs are often the last to be adopted. 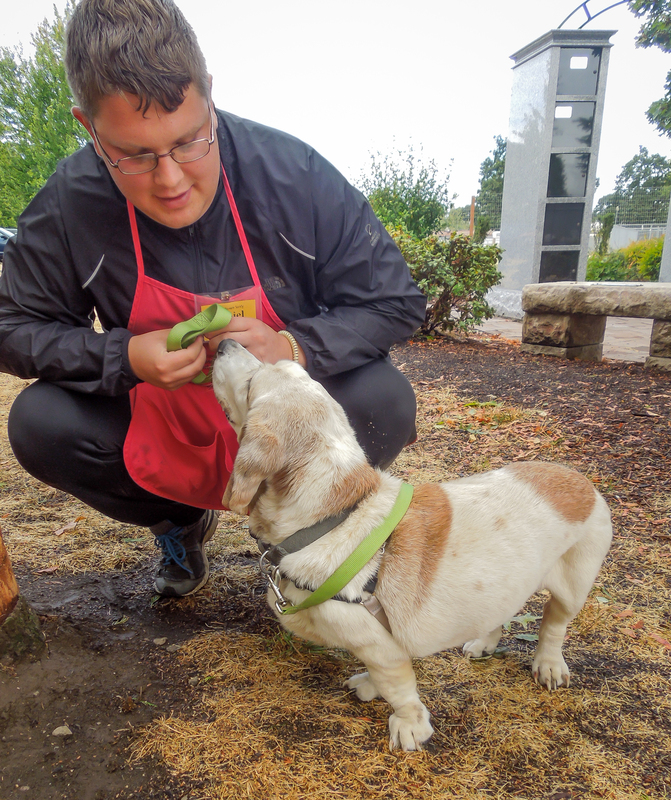 Saving an animal’s life offers an unparalleled emotional return on your investment, and you’ll feel the rewards every day you spend together.” For the Top Ten Reasons why adopting an older dog (or dogs!) 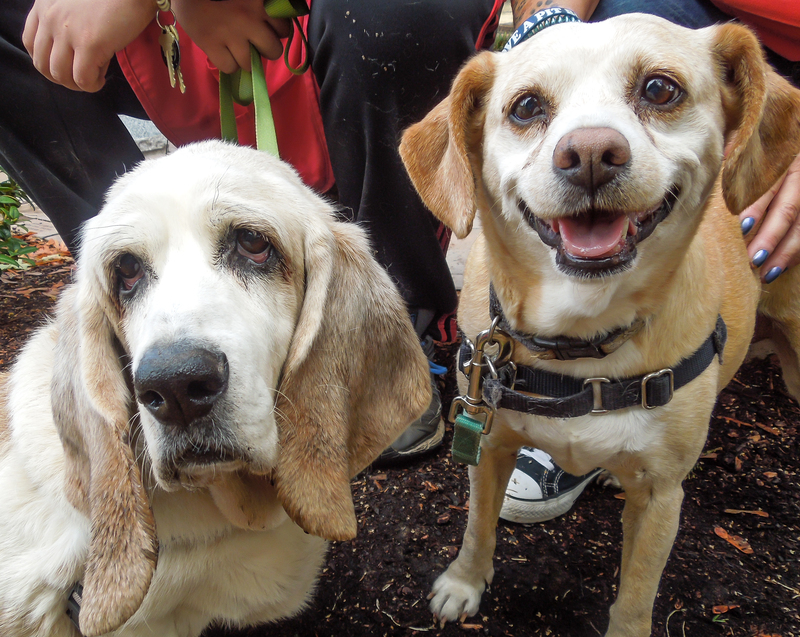 is a great idea, click below: https://www.aspca.org/adopt/adoption-tips/top-10-reasons-adopt-older-dog. And here are some pictures of the girls from today with Kathy and Sandra. 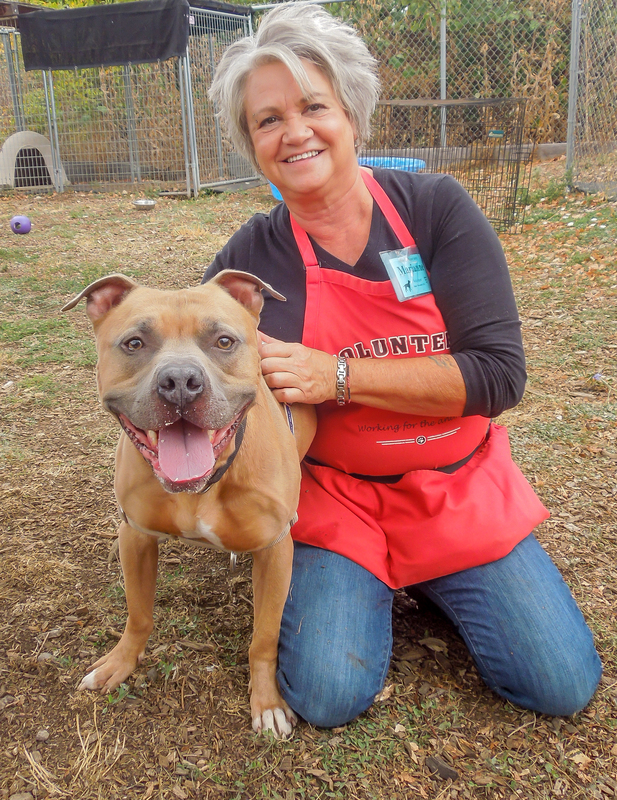 I’m a long-termer and I hope I’m adopted next! Oh, and I’m still Laslo’s favorite dog EVER! This is week three of the adventures of Daisy-Head Mayzie (you can call her Daisy) and Laslo. 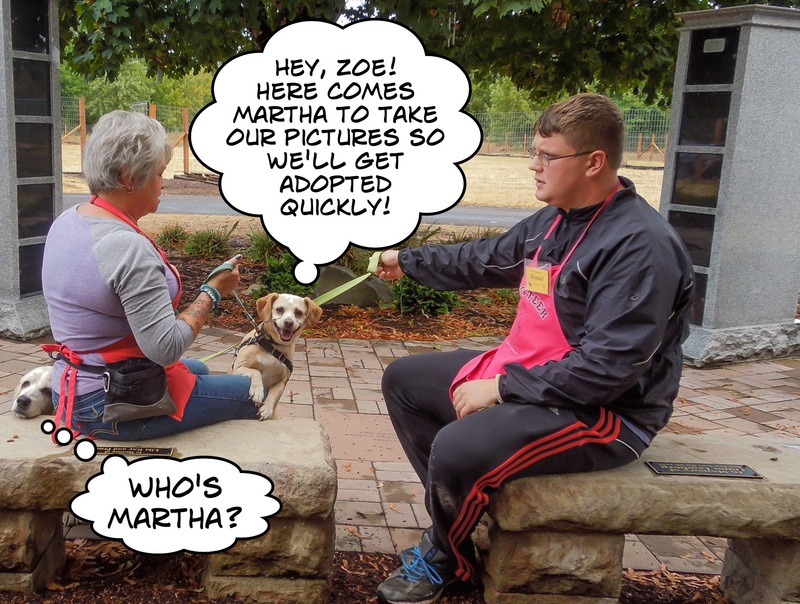 You’ll remember that last week Laslo and his mother, Katie, took Daisy out for an afternoon in the park. 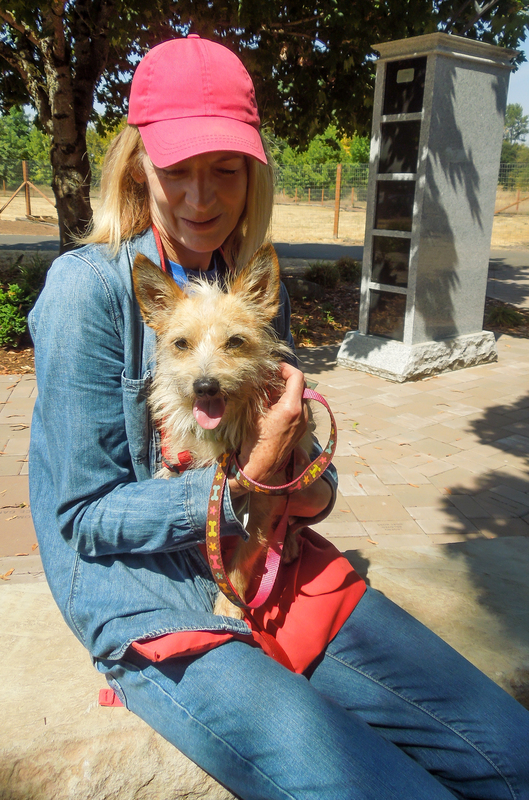 This Sunday when they arrived at the shelter, Laslo could hardly wait to see Daisy and take her for a walk. 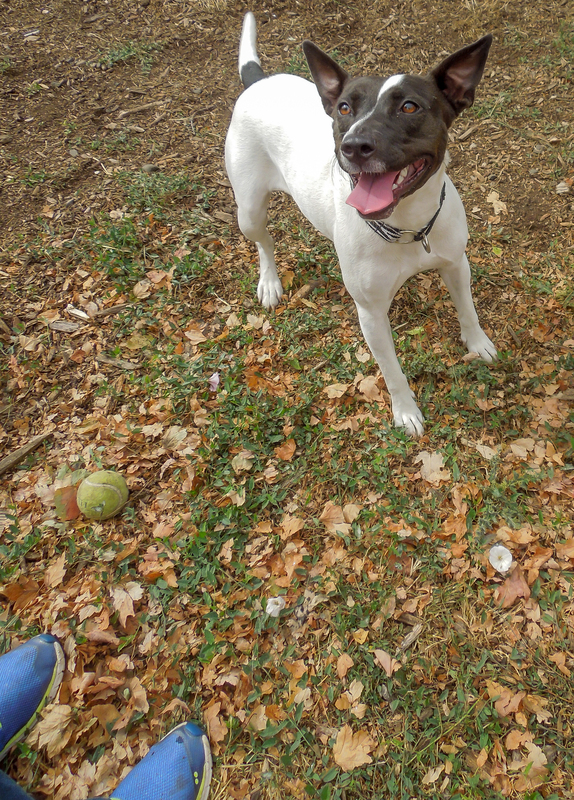 Daisy is a two-year-old Pit Bull Terrier/Australian Cattle Dog mix. 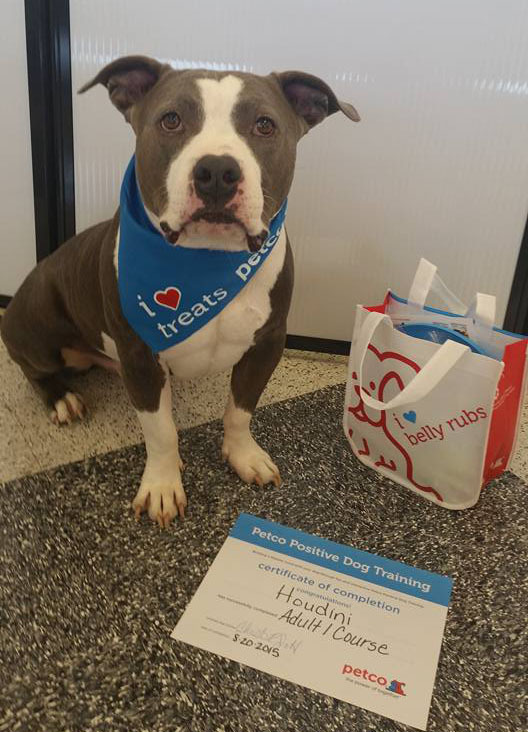 She has a ton of energy and little impulse control, so will need someone willing to spend time in training her using positive reinforcement. 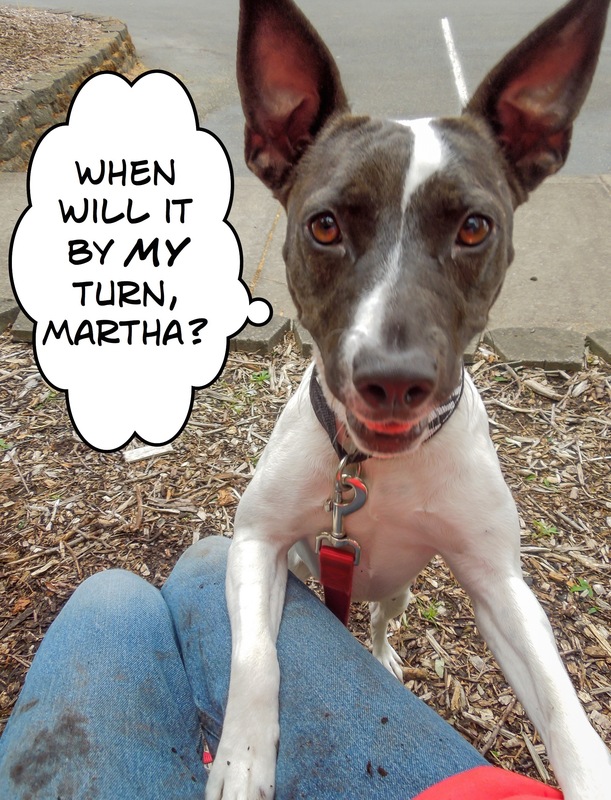 WHS classes would be perfect for this eager girl. 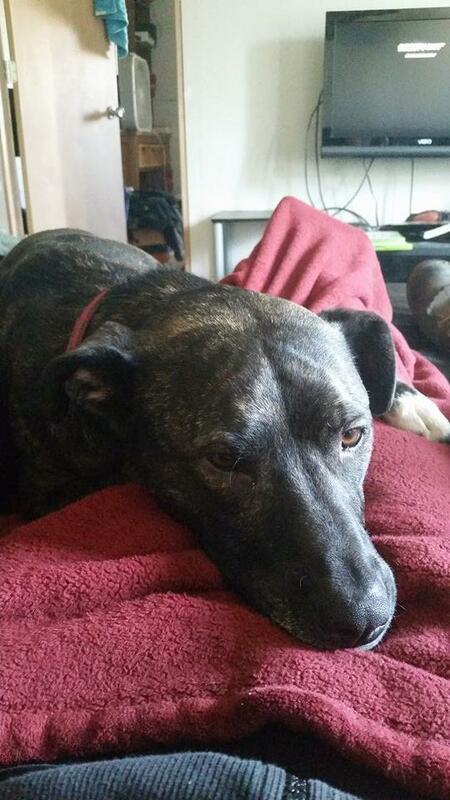 Daisy will need a home without cats and with older kids or adults, as she is so energetic. 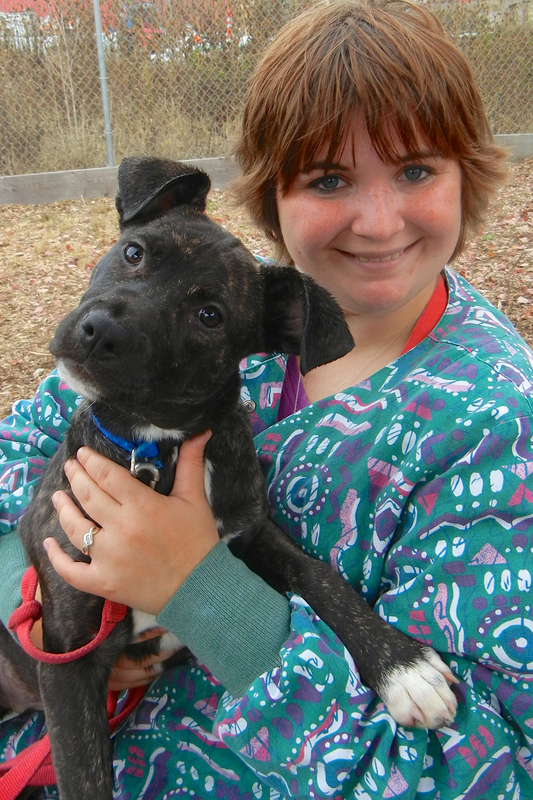 This sweetheart is your typical active, excitable, playful young dog. 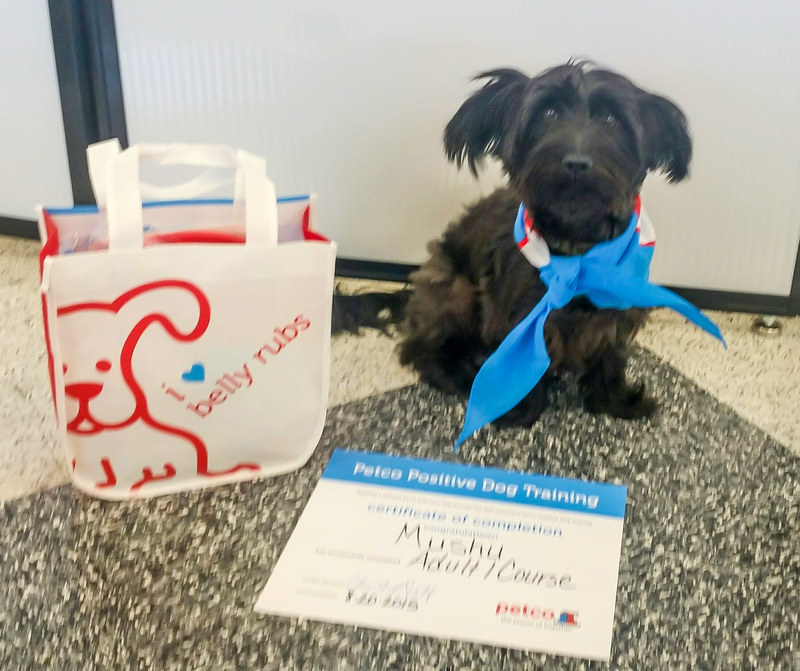 With positive training, she’ll grow into a well-mannered, wonderful best friend. Below are videos of Daisy and Laslo in action. Laslo and I are hoping that Daisy can start having adventures with her own family very soon. Let me introduce myself. I’m Jolene’s new Swim Dog! 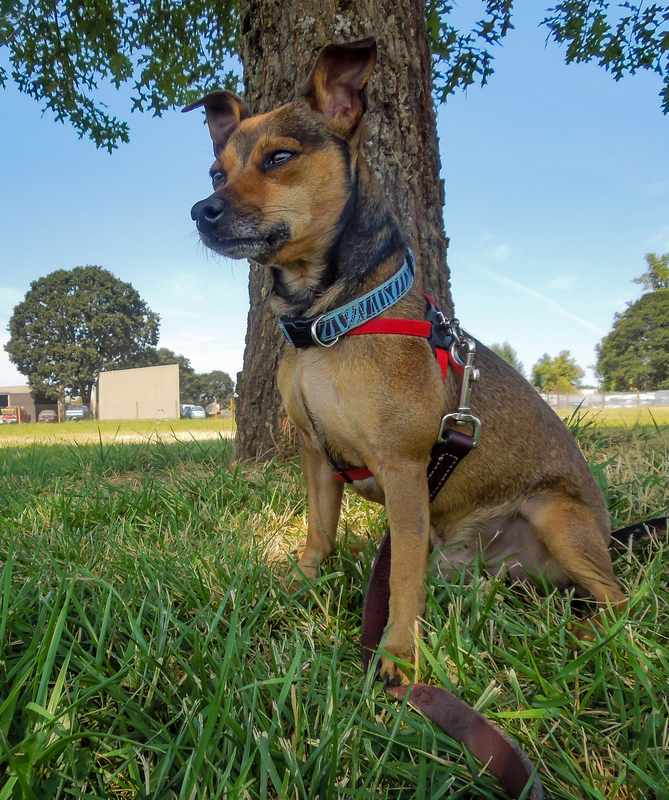 Buddy is a six-year-old Miniature Pinscher mix. He is shy and a little unsure of strangers at first. Buddy will need a quiet adult home with someone who will give him the understanding and love he needs to settle. He enjoys our quiet time when he and I go far out in the yard and sit under a tree and visit. Buddy had a grand adventure last week! 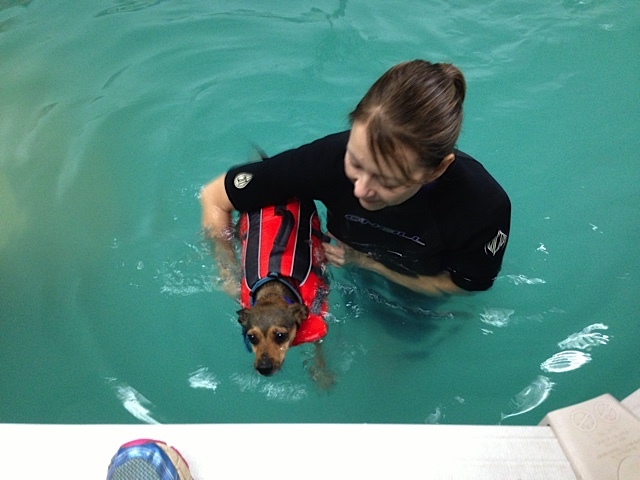 If you follow my blog posts, you know that volunteer Jolene is our shelter dog “Swim Coach” and takes a selected dog twice a week to Bailey’s Journey for swim therapy. 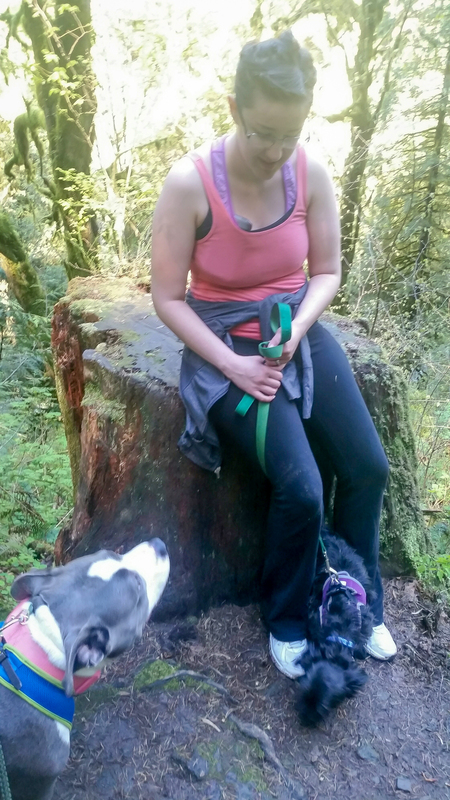 Each time she’s taken a dog, it has gotten adopted almost immediately. So we’re hoping the magic will continue for Buddy. 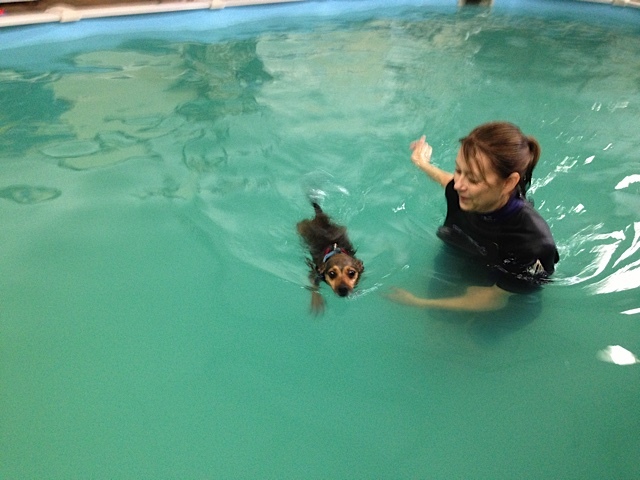 Here’s what Jolene wrote about Buddy’s first swim: “He was a trooper. While he walked right up to the water, he wasn’t too sure about actually going in the pool. 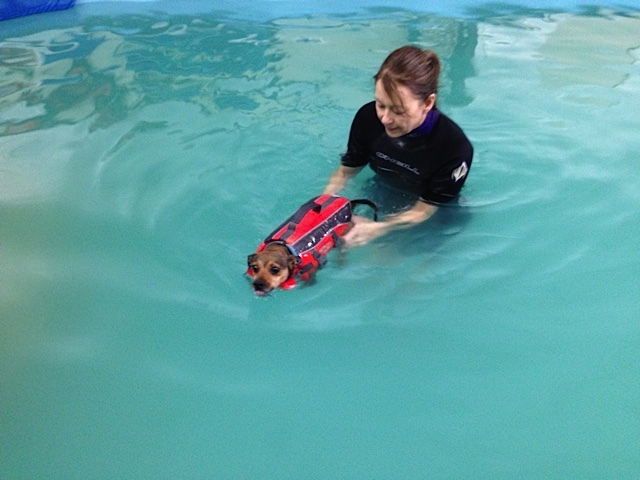 He was a great little swimmer once he got his back legs moving. He’s a sweet little guy who has a big dog attitude.” Buddy will go swimming again this week…unless, of course, he’s adopted first! I have a little cold right now, so I’m in the ISO kennels. But I’m still adoptable! 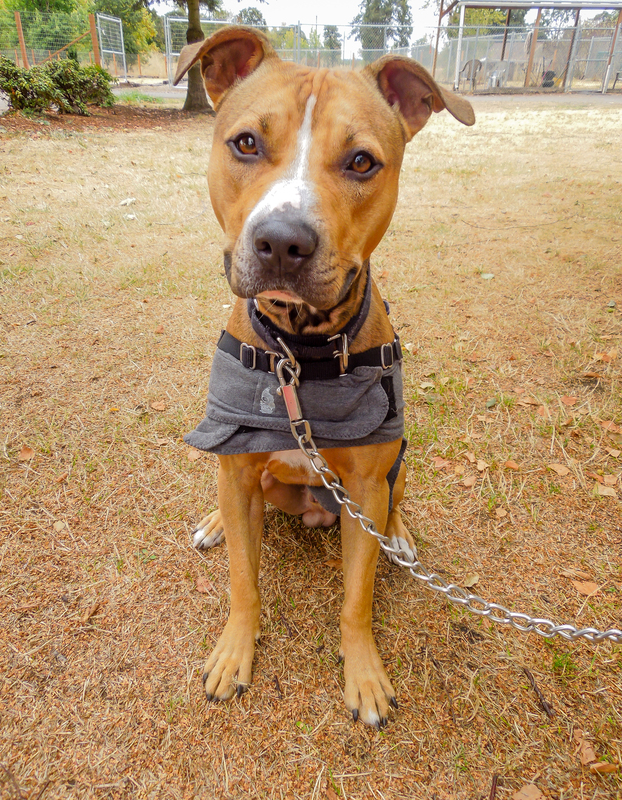 Icabaud is a two-year-old Pit Bull Terrier mix who came to us from another shelter and had been a stray, so we don’t know much about his history. 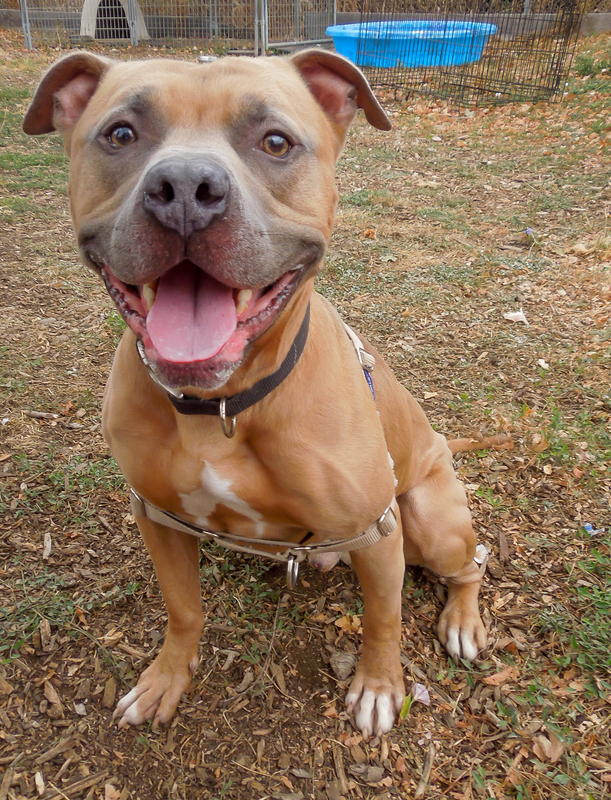 We do know that he’s an eager, happy young boy who scored well in his behavior assessment and knows some commands. He would enjoy a WHS class to fine-tune his skills, as he can be a little mouthy in his exuberance. 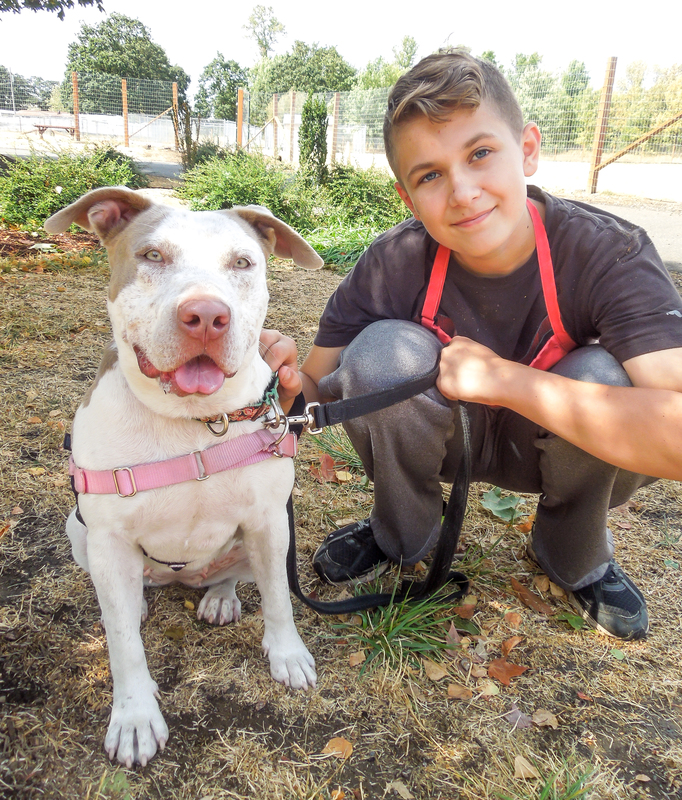 He would do well with older kids (ten and up) and an active family, as he has a lot of energy. I don’t know him well yet, but I can tell that he wants to become a great family dog. Here he was last week with Jolene. 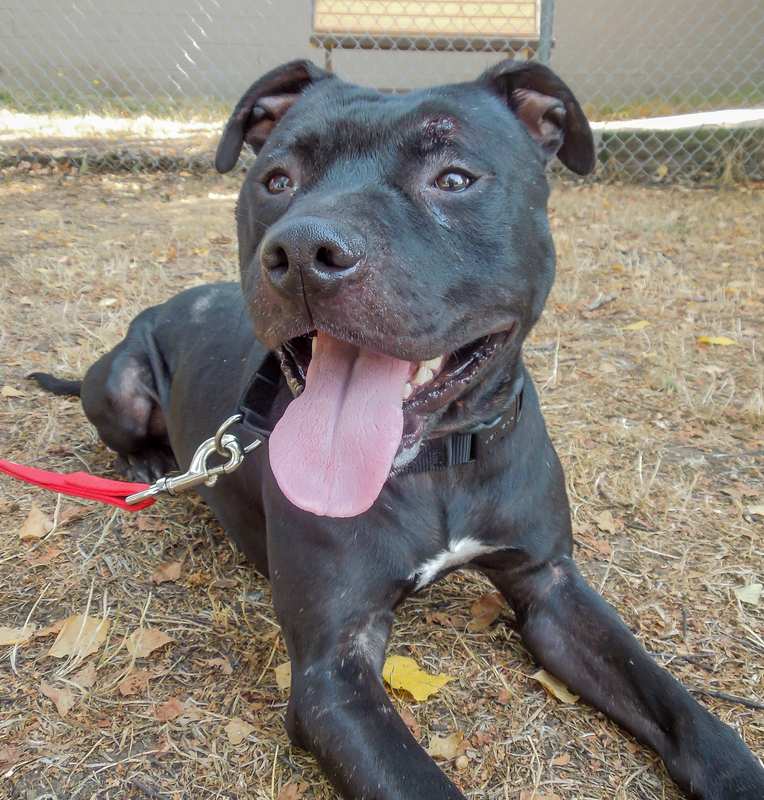 Tucker is a forty-five pound, one-year-old Pit Bull Terrier mix. 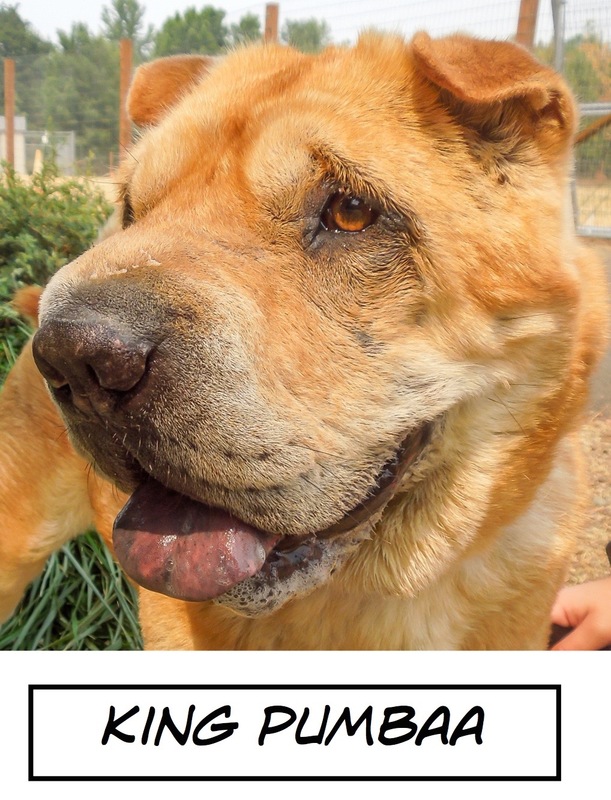 He was found as a stray and transferred to us from another shelter, so nothing is known about his past. He is quite thin and nervous. 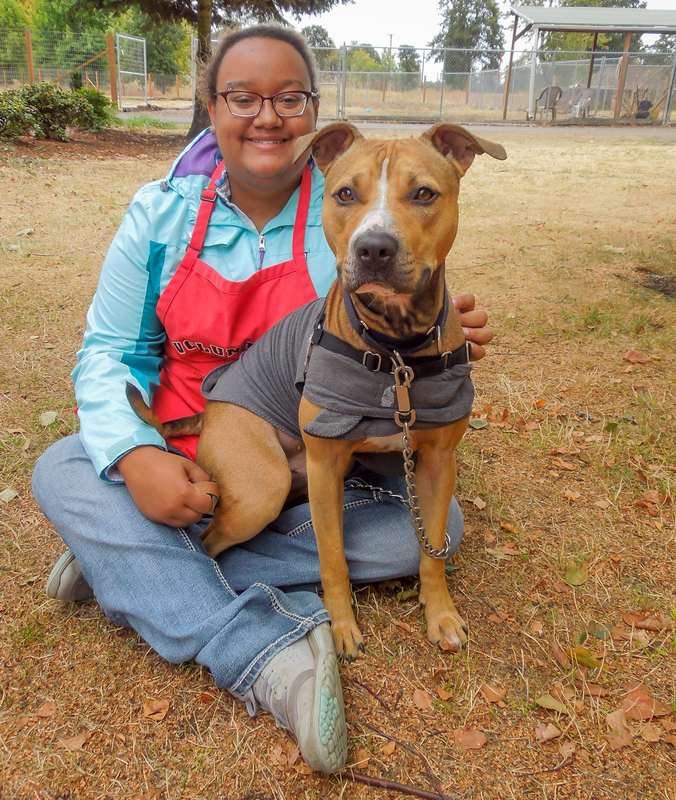 Staff put a Thundershirt on him to help calm his fears. After taking a walk with Caroline, he hung out with her, Marianne and me for a while under a tree, where he proceeded to climb into Caroline’s lap for pictures. He knows “sit” and took my treats politely. 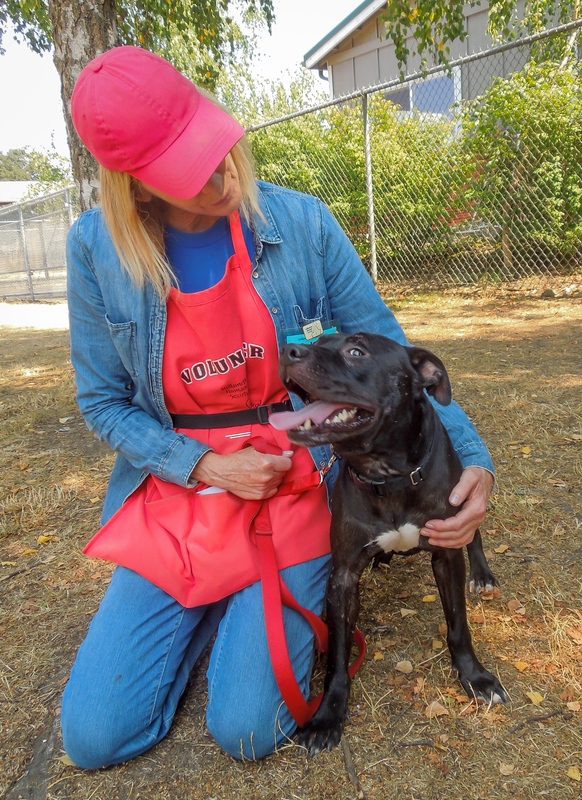 With his feeling of unease in the shelter environment, we’re hoping he’ll be adopted quickly. I felt sorry for this little guy. After we visited for a little while, Tucker seemed to relax some. I could use a little sprucing up, but I’m pretty cute anyway! 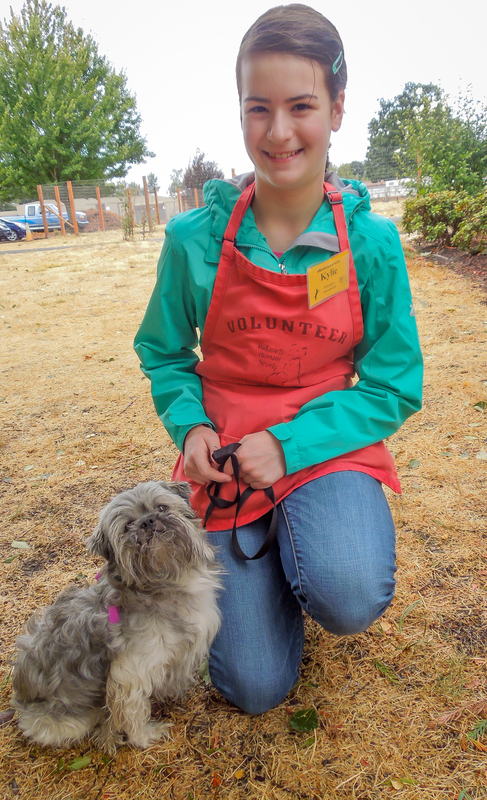 Volunteer Kylie spent some time with newbie Mr. Myiagi, a four-year-old Brussels Griffon mix, on Sunday. This little guy is friendly, calm, and polite. 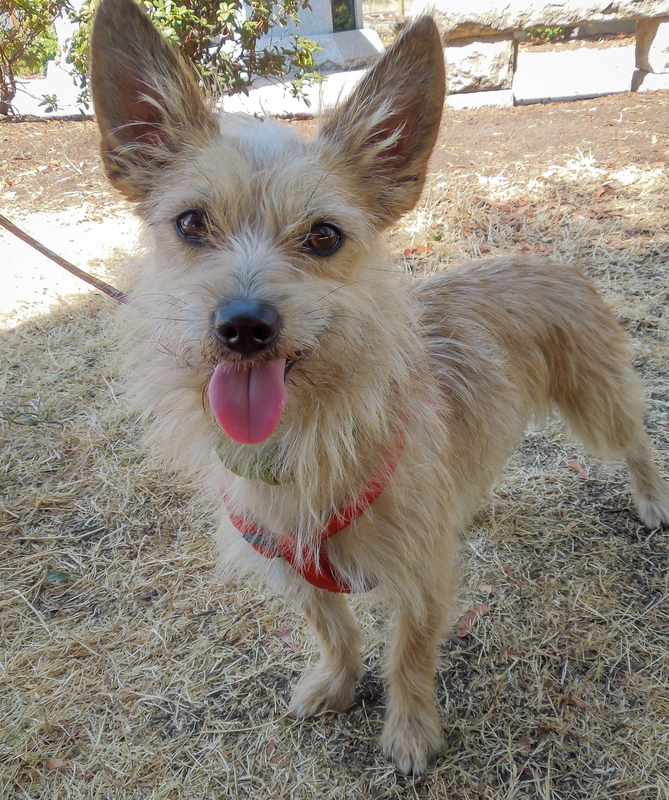 He will be an uncomplicated family member who just needs some exercise and a lap to climb into every day. 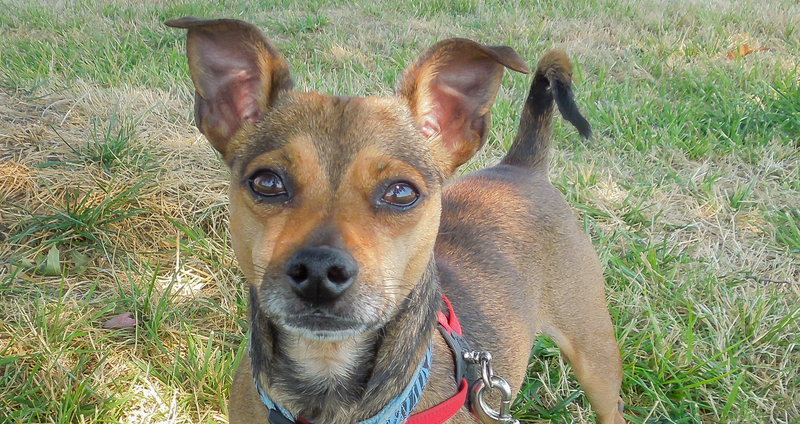 He came from California as part of a transport through ASPCA. 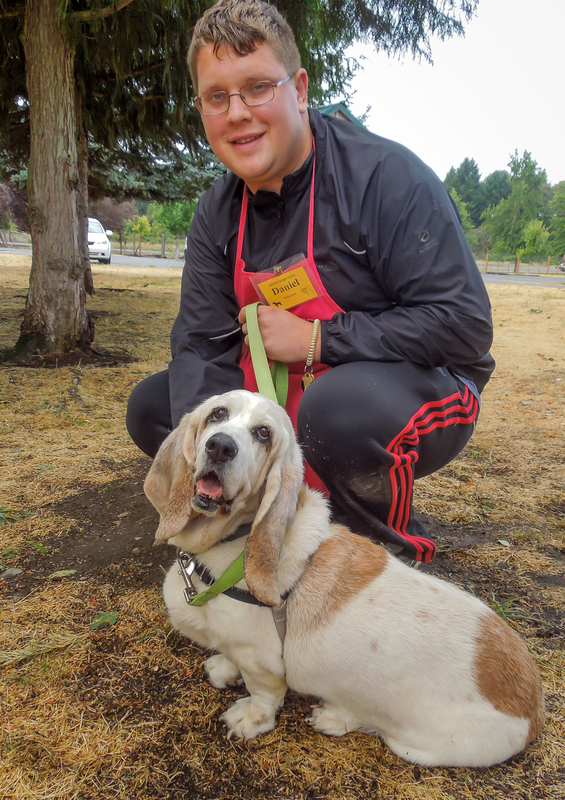 He has quickly become a favorite of many at WHS with his sunny personality. If you are looking for a new best friend in a little dog, look no further! 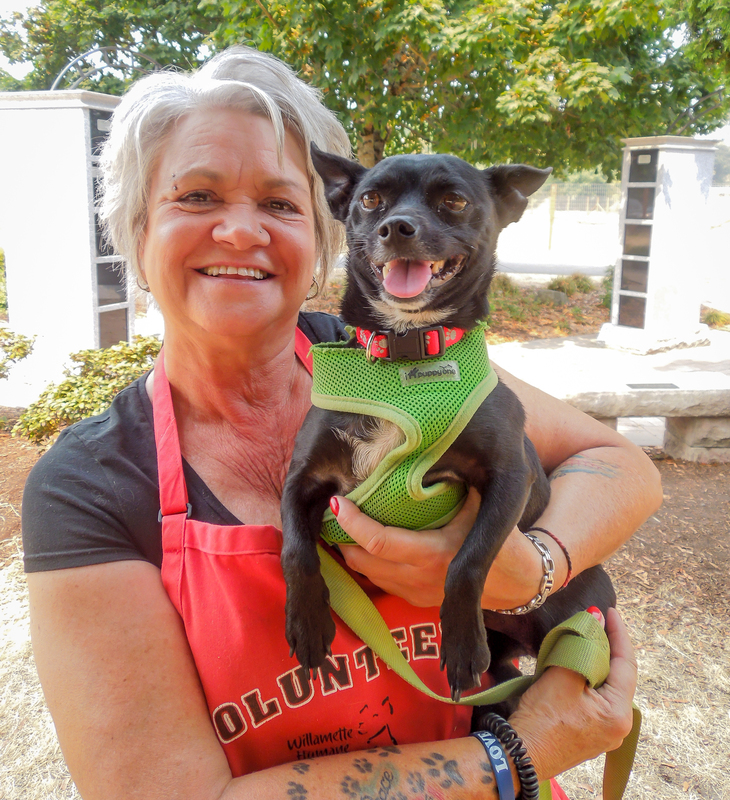 Meet Nugget, a twelve-pound, six-year-old Miniature Pinscher. 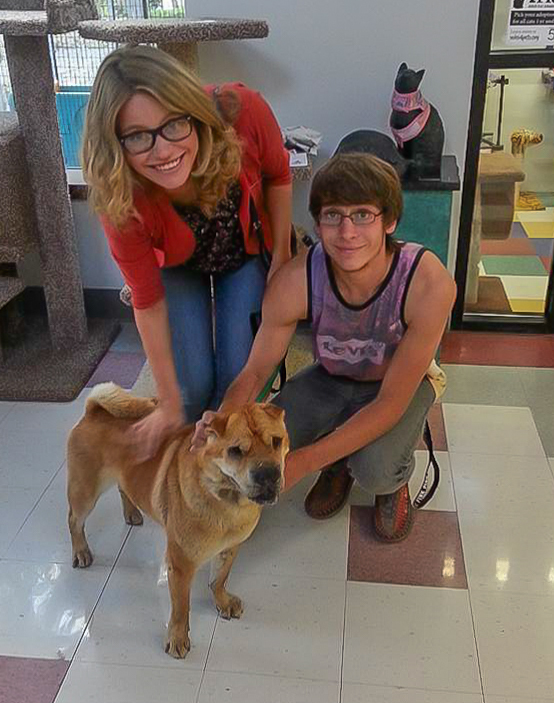 This little guy’s owner had to give him up due to the person’s health, but Nugget has obviously been loved very much. He is a bit shy at first, but soon is crawling into your lap and loves to snuggle. He is both calm and affectionate. He has lived a rather sheltered life and not been around cats, dogs or children. So maybe older children or just adults would be good. 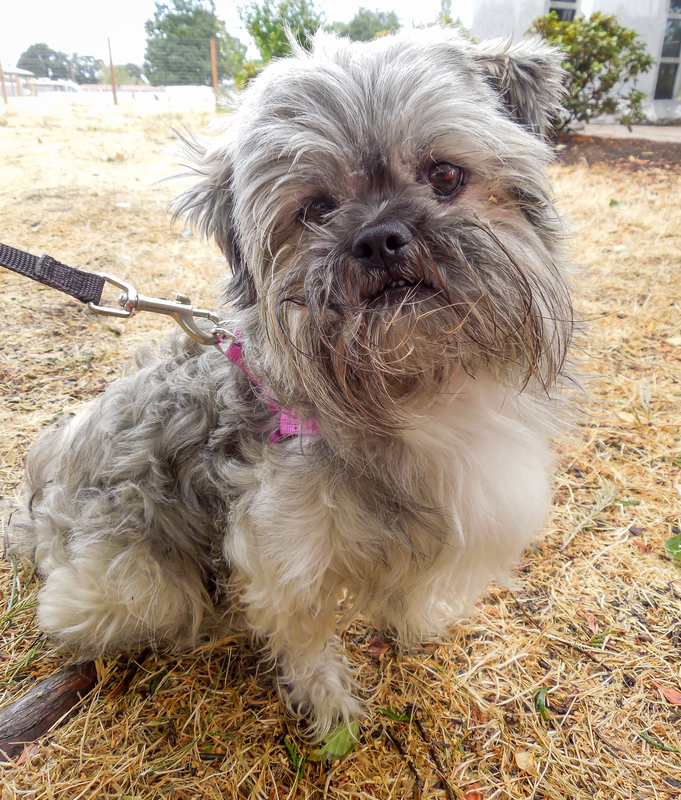 Nugget is house-trained and loves to go for walks. He really is a delightful little character. Here he was on Sunday with Jessica, Gracie, and Marianne. Speaking of little dogs, don’t forget ME! 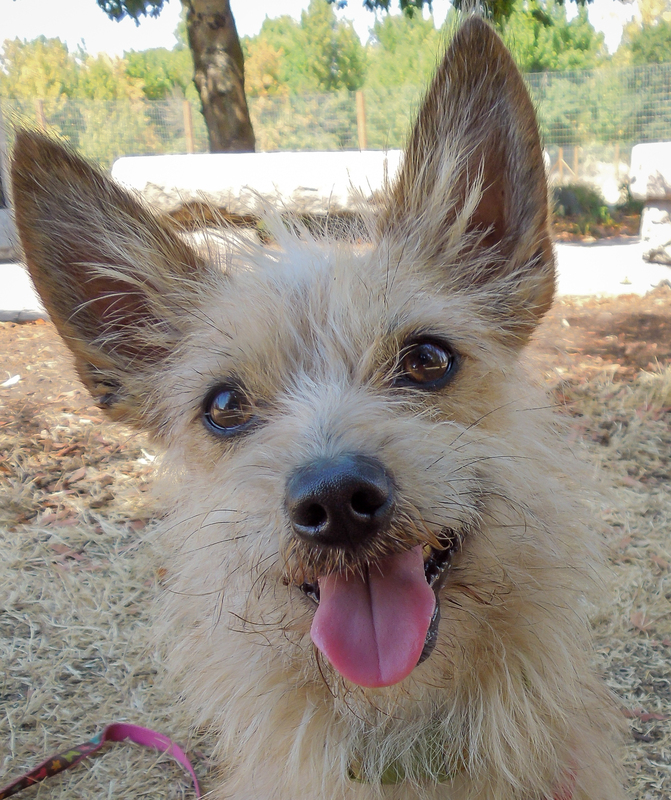 Meet James, a very active three-year-old Terrier mix weighing in at eleven pounds. James is a very sweet-tempered boy about everything except his food bowl. He doesn’t like it messed with while he’s eating. Because of that, he should go home with teenage kids or above, who will respect his space. 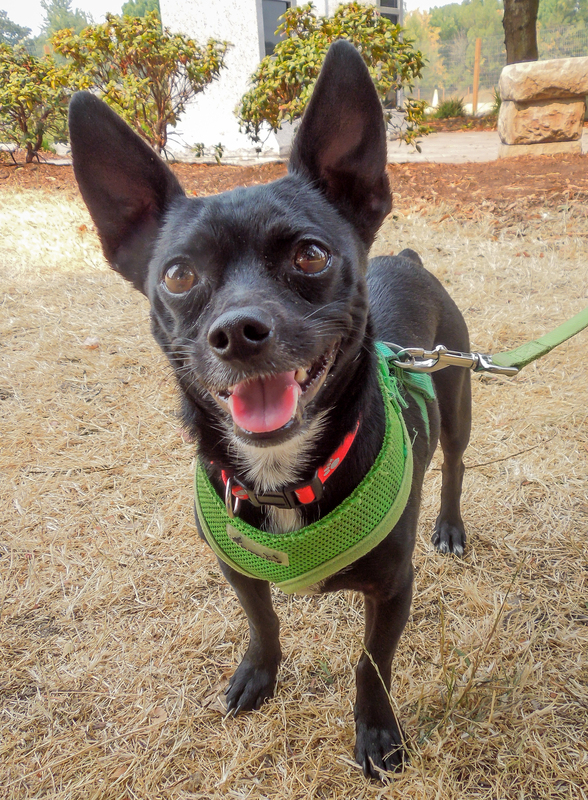 James loves to be outside for walks and prances happily along beside you. He enjoys being in your lap and settles in. But he also enjoys a good romp. Here he is with Jolene. 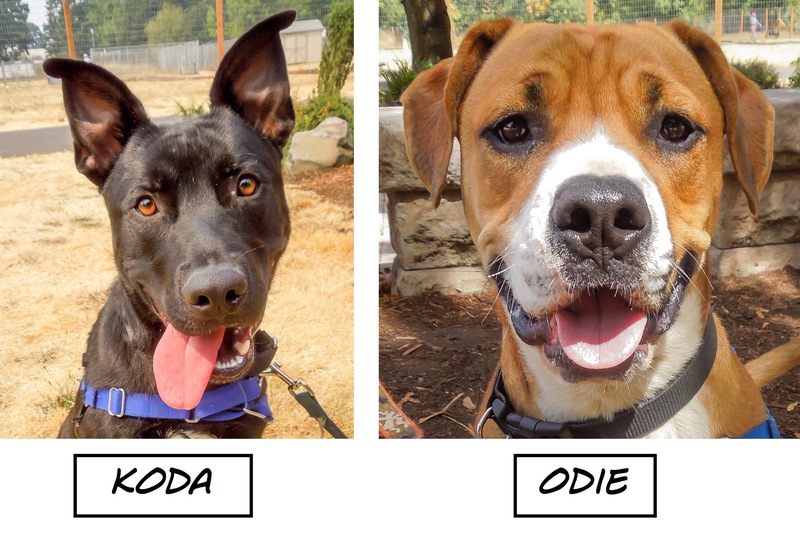 We’re in the ISO kennels, too, but we’re adoptable! 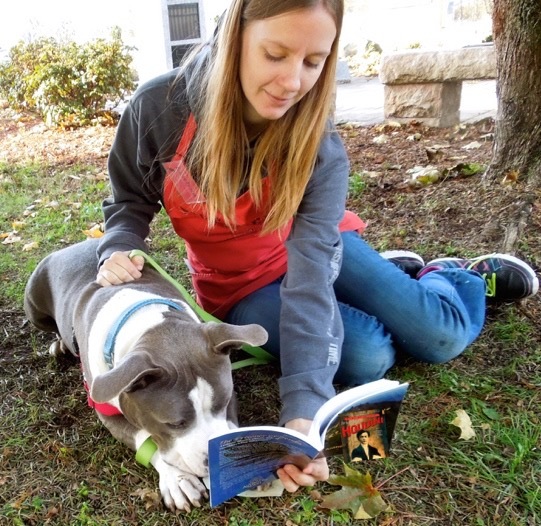 At the end of our shift, I went out to spend some time with Marianne while she was getting the dogs with colds out for some play time. 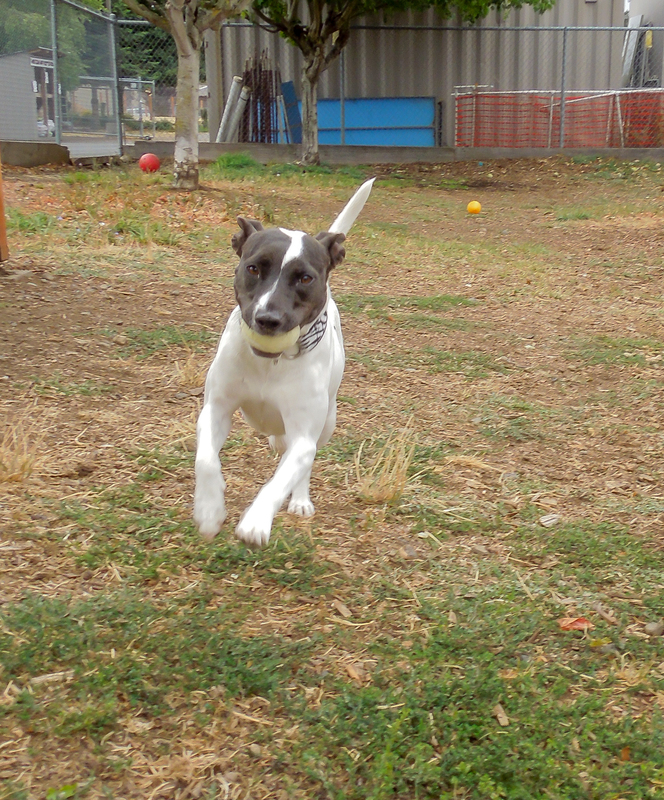 When I got to the ISO yard DJ, a very active, happy five-year-old American Staffordshire Terrier mix, was playing fetch. 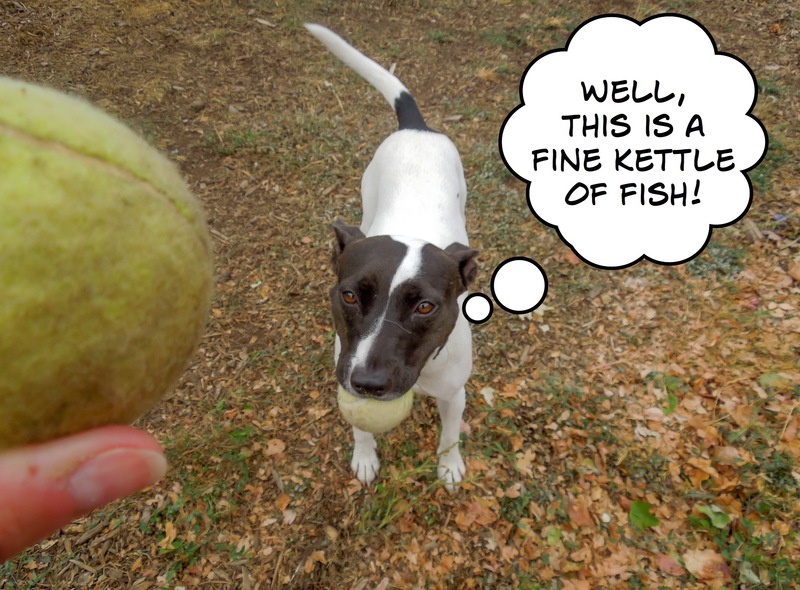 Well, he was sort of playing fetch. He’d chase the ball and then return without it. But this bundle of energy was having a blast, anyway. 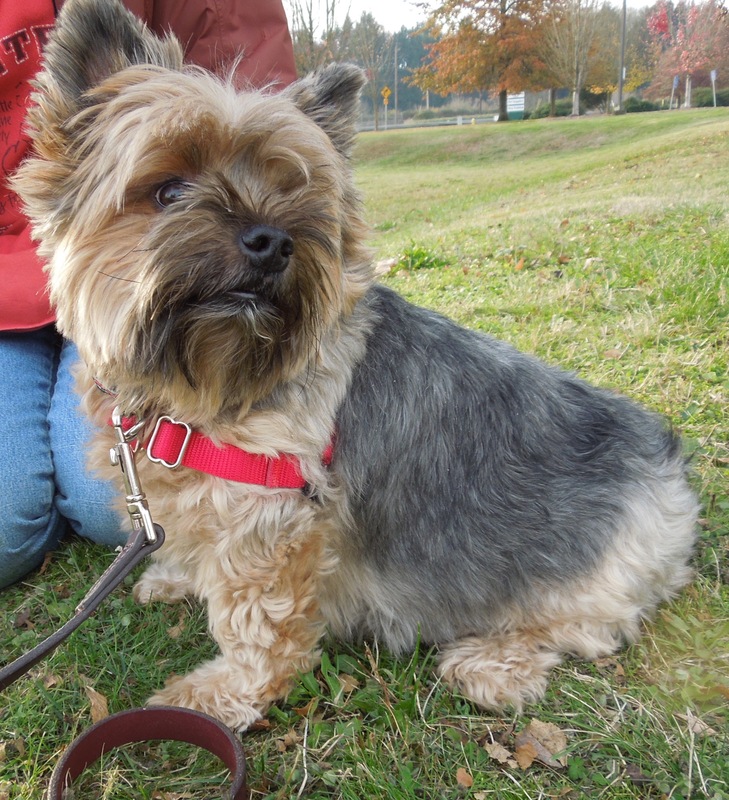 DJ is house-trained and is looking for a family with older kids and no cats. He’ll keep everyone laughing with his goofy personality. While DJ was romping in the yard, I hung out with Venus waiting for her turn to play. 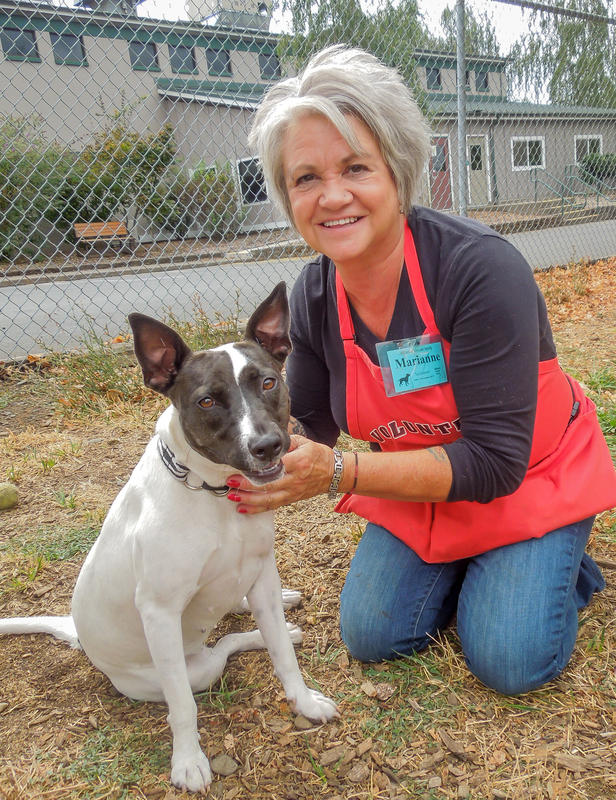 Venus is a one-year-old Fox Terrier mix. If you are looking for a REAL ball dog, you’ve found her. This girl will play fetch as long as you are willing to throw the ball. And she is FAST! I was trying to see if I could tire her out by throwing ball after ball, but nope! 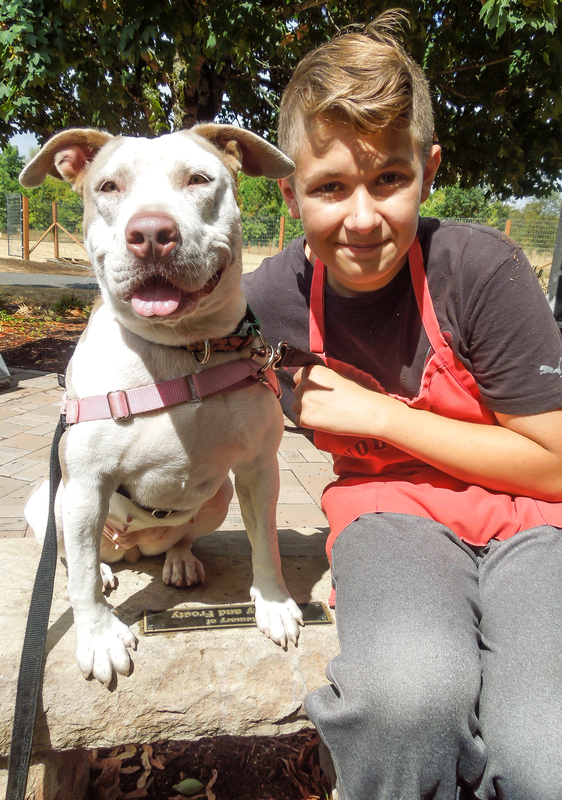 Venus is very smart and would love taking some of our WHS training classes. She would probably enjoy agility and certainly hiking. 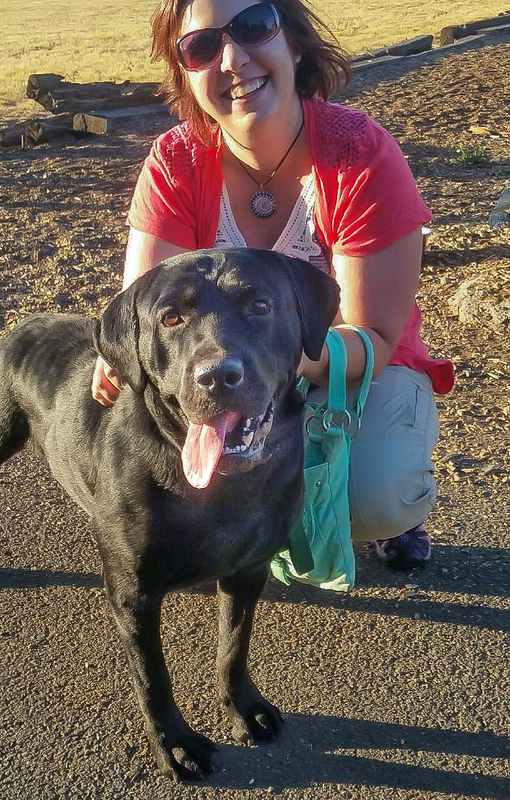 She needs a home without cats and since she can be picky about her dog friends, would need to meet any potential roommates before going home. 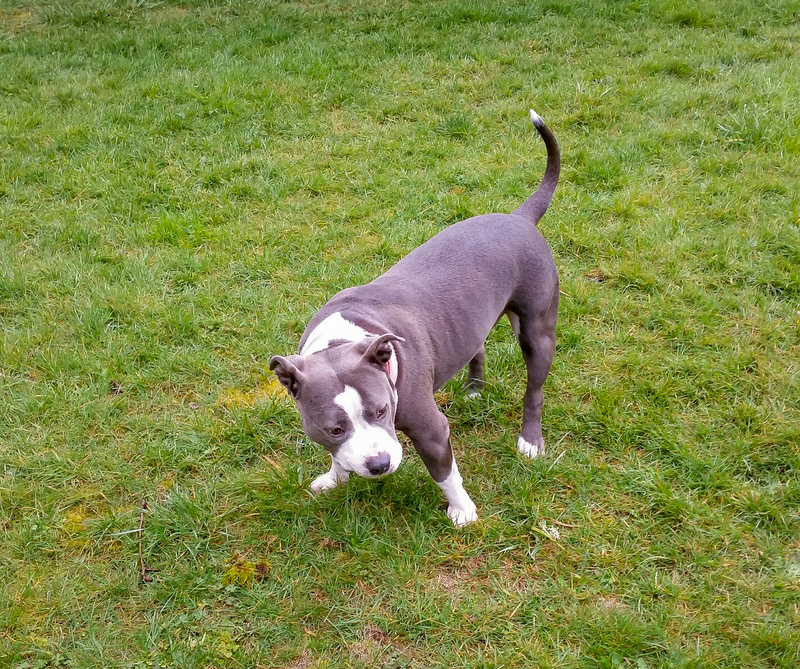 I really liked her size and playfulness. This guy was one of my all-time favorite shelter dogs. He was so doggone cute and had a clownish personality. He was also one of Emelynn’s favorites, as you can see from the pictures below. 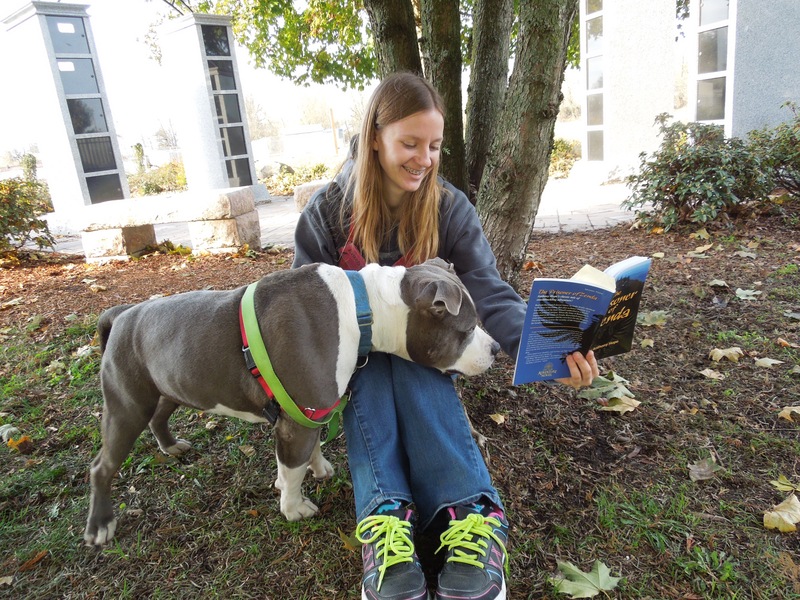 He loved reading a good book! His family sent this picture to WHS recently. It is nice to know he’s continuing his higher education and doing so well! I asked his family if they would send me an update and today I got this wonderful note and pictures. 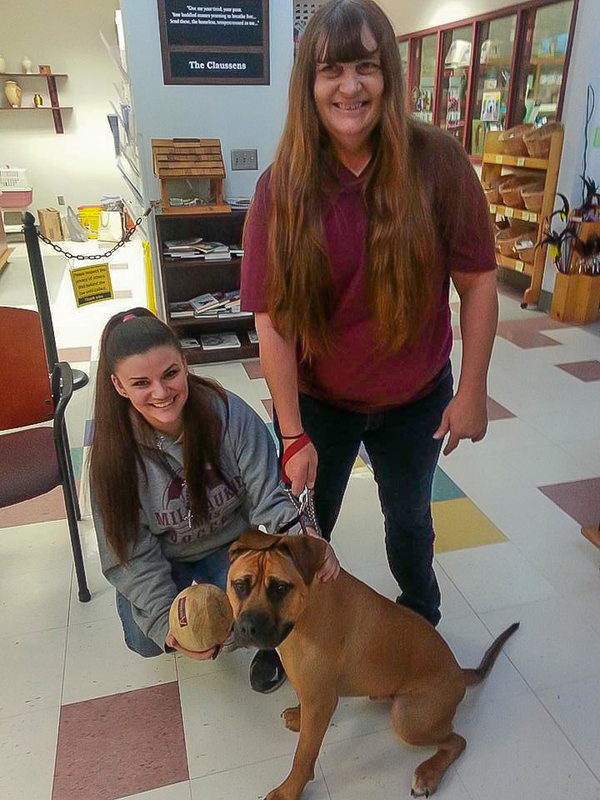 Here were Gigi and Gizmo when they were at WHS in November of last year. 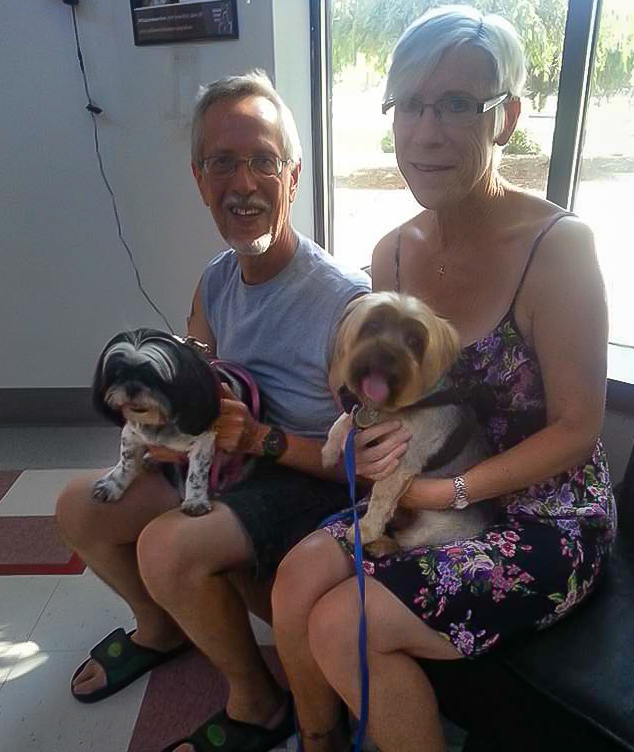 Their family stopped by the shelter last week to show off their haircuts! And they are doing great! Remember the puppies Be There and Be Square? They came to us from California in November of 2012. Here was Be There, who became Luna, with Sarah. 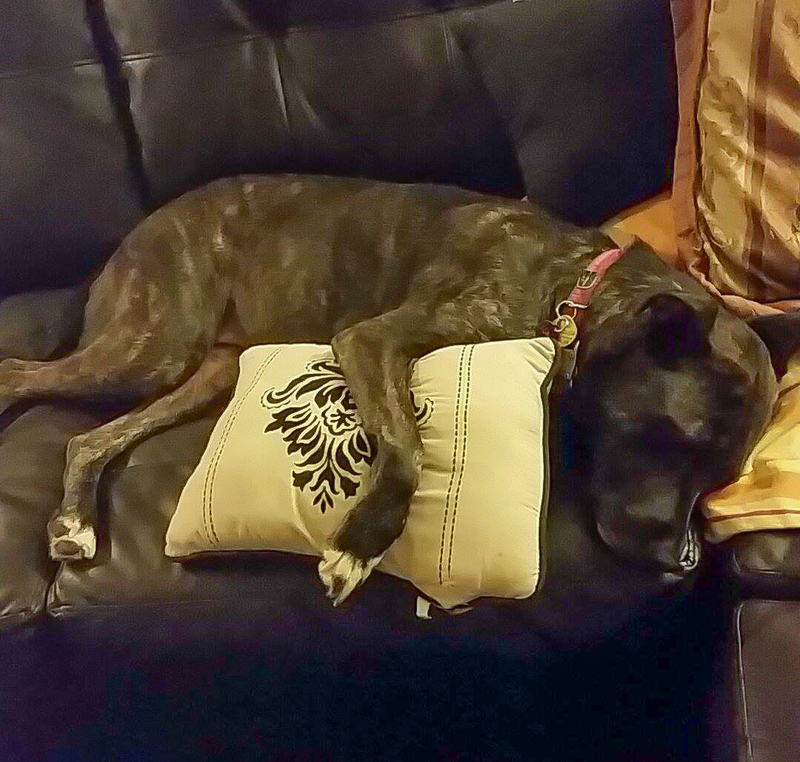 She was adopted, but surrendered a year later. 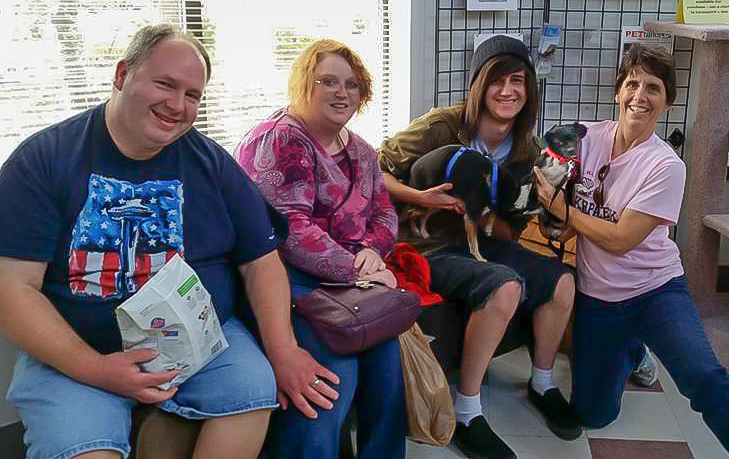 She was adopted by another family and found her forever home with them. 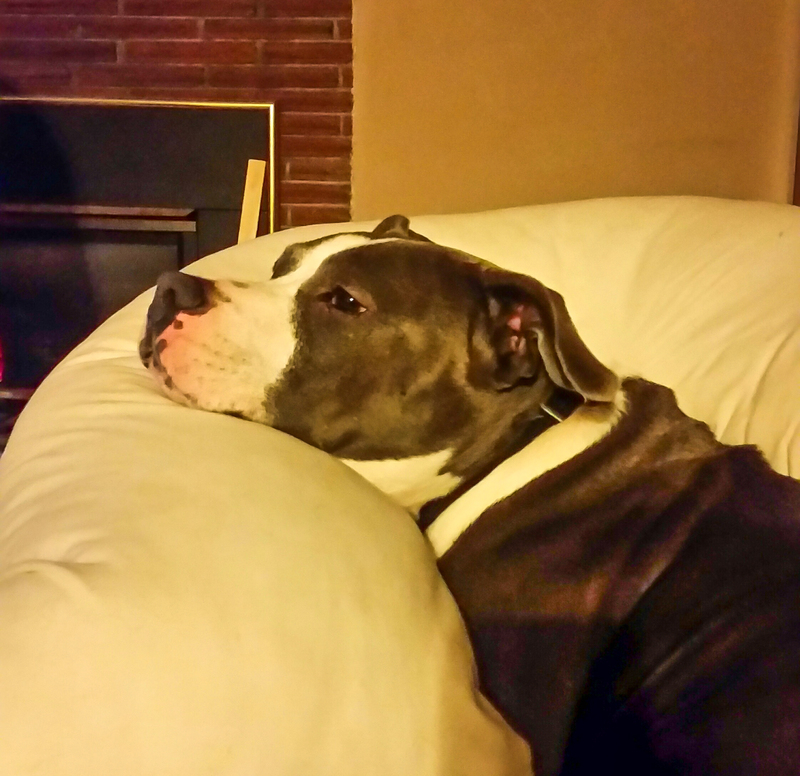 Annie, her person, sends me updates from time to time and here is the latest one from last week. I’m so glad Luna has such a wonderful family who loves her!